At approximately 10:35am on Sunday Morning (11/11/2018) the Wanda Patrol (Patrol 1) was alerted to an unresponsive child on the beach near Track 15, halfway between the Wanda and Elouera Clubhouses. The Wanda Patrol Captain dispatched the patrol’s ART accredited Lifesaver and another Lifesaver (Bronze Medallion) to the incident with the Oxy Viva\AED and the First Aid kits. On the way to the scene, the Patrol received assistance from a member of the Wanda Nipper IRB crew getting the equipment to the patient as quickly as possible. On arriving at the scene, the team found the unresponsive child being managed by an Off Duty Sutherland Lifeguard, assisted by a member of the Wanda Nippers Water Safety team keeping the patients airway opened. The Lifeguard informed the Lifesavers that the patient was a 3 year old male, which had collapsed on the beach from a seizure. The Wanda team took control of the child’s head / airway as Denny Rowlands administered oxygen therapy assisting Council Lifeguards until the Ambulance arrived shortly after. The child maintained breathing and later regained consciousness. He was transported to hospital shortly after. Luke Cusack, Kaylene Walker, Rob Rybanic, Denny Rowlands, Hayden Berry, Brayden Gossling, Natalie Buckley, Brett Porteous and Kenneth Smith should all be extremely proud of the way that they conducted themselves throughout this process. 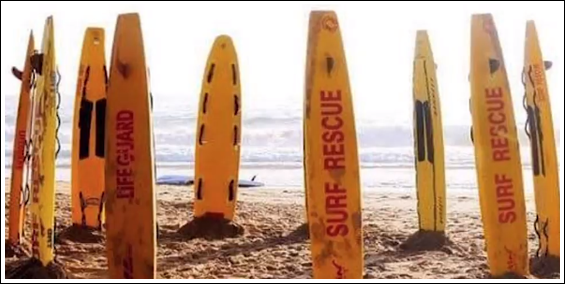 Whether directly administering the Oxygen, keeping the crowds away, directing the ambulance to the patient or effecting constructive radio communications to Surfcom all involved acted extremely professional from which the Wanda Surf Life Saving Club is very proud. Surf Lifesaving Sydney Duty Officers were also tasked to the scene.